Updated Wednesday June 27, 2018 by Prospects HS Director. 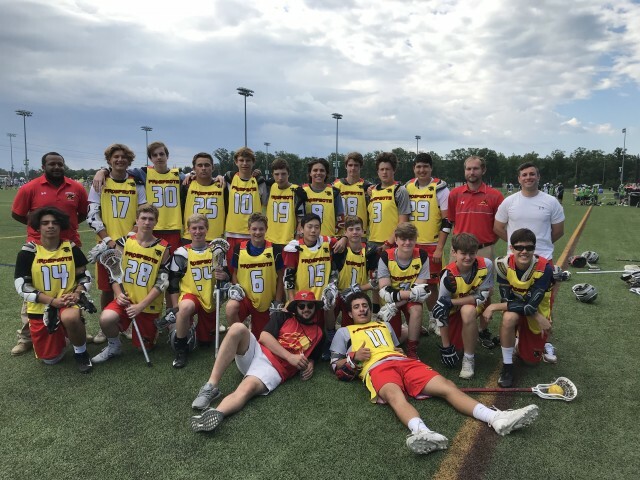 The Prospects Lacrosse high school program is a season based program that provides boys the opportunity to participate in the top tournaments in the northeast. Our program is for boys who strive to be a contributing member on their high school teams and beyond. To provide an environment for coachable athletes that allows them to reach a higher level of lacrosse skill and understanding through an enhanced team experience. This includes the opportunity to play with other top young players from the VA/DC/MD area and to learn from experienced coaches. Develop players skills and training through coaching excellence. Motivate dedicated players willing to take his/her game to the next level in preparation for high school and collegiate lacrosse. Develop well-rounded, confident, and responsible lacrosse players. Dedicated, well compensated, passionate coaches that want to give back to the game. No long term player contracts. Extremely organized program providing exceptional communication with parents and players. Experienced Coaches focusing on taking each players game to the next level. Smaller team sizes to maximize play time and smaller clinic sizes to maximize individual attention. Fun atmosphere with awesome “swag” and team “tailgating” to build relationships between players and parents.